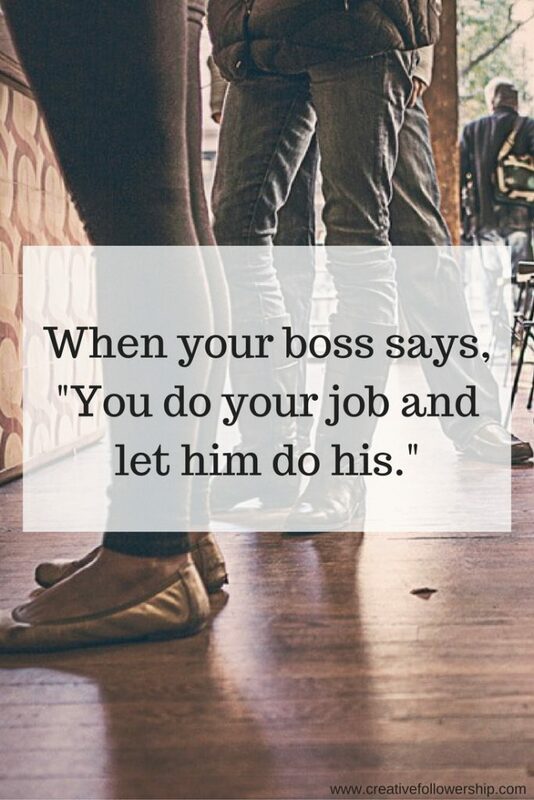 What Will You Do When Your Boss Says THIS? Maybe your boss has said that to you. Limiting the territory of their workers is one of their methods of hoarding authority. Territorialism wastes resources and kills initiative and the spirit of cooperation necessary for the effective operation of any organization. Unfortunately, like weeds after a summer shower, it continues to pop up unless it is constantly un-rooted. My wife and I drove into the parking lot of a hamburger chain at 2:30pm, thinking that the lunch rush would be over. We were surprised to see a car in almost every space in that large lot. We even had difficulty getting in because there were so many people standing inside they were blocking the door. Most of them were backed up trying to pay their checks and get out of there. After making our way through that crowd we joined the others who were just waiting to be seated. As we stood waiting for a table we could not help but notice the people around us becoming more and more impatient and complaining to one another. Over one-third of the tables and booths were cleaned and ready for customers but there was not a hostess in sight. The servers, at their pick-up station ready to serve customers, would look over their shoulders at the customers waiting to be seated, but did not leave their area. There was no one seating the waiting customers and the on-duty manager was at the cash register trying to train a new employee who obviously was struggling. We watched as people walked in the door, saw the problem and walked back out. . Customers who were tired of waiting to be seated became disgusted and began leaving. My wife and I waited a few minutes and also left. For some reason there was no hostess on duty. The manager was probably the back-up person for the hostess and he was stuck helping the cashier. In a well-managed organization, the staff works together and helps each other. I am confident that I saw in action the, “You do your job and let him do his” policy of weak management. The servers were afraid to back-up the hostess because they had not been authorized to do that. They dared not take the initiative to do the on-duty manager’s job. I don’t know who implemented that policy. It may have been the restaurant manager, the district manager or the regional director. Having seen similar problems in some of the chain’s of other restaurants, I suspect that it came down from above. Managers who are in over their head typically practice territorialism because it deceives them into believing that more control will improve their performance. It is a form of hoarding authority. If you are a boss or ever become one, don’t fall into the trap of hoarding authority for yourself; it will just make you look afraid. Don’t believe that unreasonable limitation of the authority of those who report to you will make you look like a better manager; it will just make you look weak. 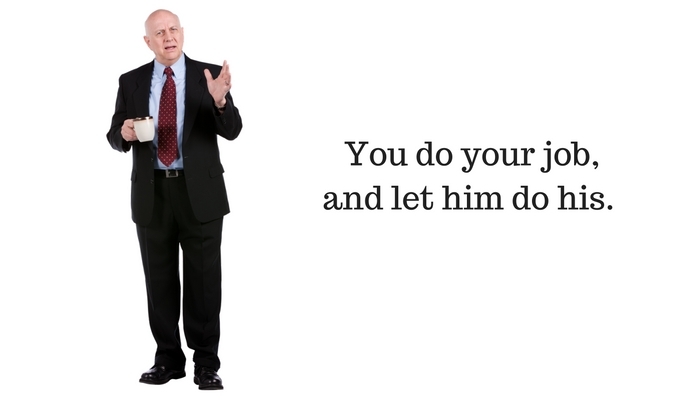 Are you working for a boss who hoards authority or only permits you to follow his or her specific instructions? To advance your career, you need a boss who appreciates initiative and encourages a spirit of cooperation. Be careful; your career may be at stake.